Judge Rotenberg Center - Angela is our Academic Student of the Week! Angela is our Academic Student of the Week! We are happy to announce Angela as our Academic Student of the Week! She has been completing all her academics on time and accurately. Angela is making progress in her math fluency. 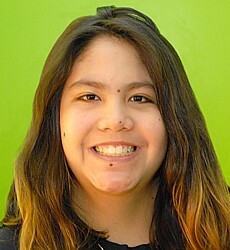 She participates in group sharing and always gives back positive feedback to her peers. Angela is always willing to help other students with their academics. She is also passing many of her behavior contracts. Please be sure to congratulate Angela on her accomplishments and encourage her continued success. Way to go, Angela!